On Sunday, Chile goes to the polls to vote for a new president in a direct run-off between two women. This will continue the increasingly common trend in many Latin American countries to elect female leaders. Here is a round-up of the other women currently in power around the world. Michelle Bachelet (right) has been returned to the Chilean presidency with an overwhelming election victory over the centre-right's Evelyn Matthei. This continues the increasingly common trend in many Latin American countries to elect female leaders. Here is a round-up of the women currently in power around the world. Joyce Banda became southern Africa's first woman leader in April 2012, assuming the presidency of Malawi when her predecessor died after a heart attack. Ms Banda is recognised for her work as a supporter of women's rights. Liberian President Ellen Johnson Sirleaf, 72, known as the "Iron Lady" by her supporters, was named as one of three joint winners of the 2011 Nobel Peace Prize. She became Africa's first female president in 2005, two years after the end of a brutal 14-year conflict. Sheikh Hasina became Bangladesh's prime minister for the second time in January 2009. In general elections in December 2008, her centre-left Awami League won a crushing victory over the centre-right Bangladesh Nationalist Party (BNP) led by her long-time female political foe, Begum Khaleda Zia. South Korea elected its first female president, Park Geun-hye, in a close-run contest in December 2012. Her father, President Park Chung-hee, had ruled the country for 18 years after seizing power in a coup. Yingluck Shinawatra, the youngest sister of ousted former prime minister Thaksin Shinawatra, led the opposition Pheu Thai party to a landslide victory in July 2011 and became Thailand's first woman prime minister. Helle Thorning-Schmidt became Denmark's first female head of government after her alliance secured a narrow majority in parliament following elections in September 2011. Prime Minister Thorning-Schmidt was recently criticised for taking a selfie with Barack Obama, David Cameron at the Nelson Mandela memorial service. Dalia Grybauskaite was voted in as Lithuanian president with an emphatic election victory in May 2009. She won 69% of the vote, against 11% for her closest rival, Algirdas Butkevicius of the opposition Social Democratic Party. She is the country's first female president, although the country's first prime minister after it declared independence from the USSR in 1990 was also a woman. German Chancellor Angela Merkel has cultivated the image of a prudent, pragmatic and down-to-earth leader, earning her the nickname "Mutti" - mother of the nation. The conservative leader is now preparing for a third term, after scoring a convincing victory in the 22 September election. Erna Solberg, Norway's second female prime minister, appointed women to half of her cabinet posts, in line with an unwritten rule about gender equality. Solberg heads a right-wing minority coalition government assembled following elections in September 2013. Slovenia's Prime Minister Alenka Bratusek took over when Janez Jansa's year-old centre-right coalition collapsed in disputes over austerity measures and corruption allegations in February-March 2013. Argentina's President Cristina Fernandez swept to victory in the first round of Argentina's presidential election in October 2007 - a victory that many attributed to the popularity of her husband, the then President Nestor Kirchner. 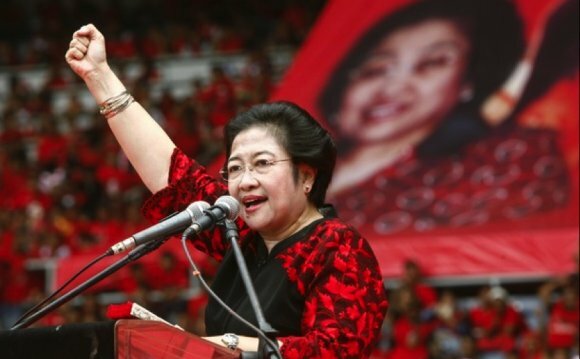 Her party suffered setbacks in mid-term congressional elections in late 2013, and she shifted economic policy towards more state intervention in an attempt to kick-start growth. Brazil's Dilma Rousseff became the first female president in the country's history when she replaced Luiz Inacio Lula da Silva in 2011. Ms Rousseff served as President Lula's Chief of Staff before being handpicked by the popular leader as his successor. Laura Chinchilla won a landslide victory in February 2010 to become the Costa Rica's first woman to be elected president. She took up office in May 2010. Married with a teenage son, Ms Chinchilla is a career politician and a social conservative, opposing gay marriage, abortion and any change to Roman Catholicism's position as the state religion. Jamaica's opposition People's National Party (PNP), led by Portia Simpson-Miller, won a closely-fought general election in December 2011 by a wide margin. Simpson-Miller was Jamaica's first female prime minister in 2006, but was narrowly defeated in elections in 2007. Kamla Persad-Bissessar became Trinidad and Tobago's first female prime minister when her People's Partnership coalition won a landslide victory in elections in May 2010. Her coalition's victory sent the People's National movement into opposition after more than four decades of almost unbroken rule.